Some people don’t even take the time to think about aftermarket footpegs and just keep the stock footpegs on for the duration of ownership. 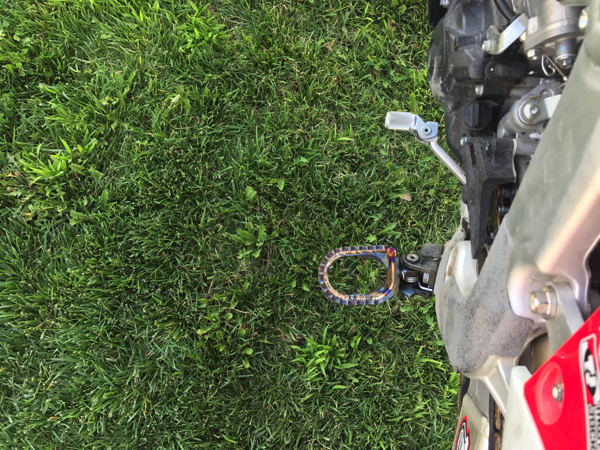 The stock pegs are usually pretty good and do just fine, but for those of you who haven’t had sharp or wide footpegs you really don’t know what you’re missing. Pro Pegs titanium footpegs are manufactured with high-grade Ti-6AL-4V titanium. These Pro Pegs are lightweight, very strong and corrosion-resistant. Each piece of the footpeg is TIG-welded together and really is a work of art. The Pro-Pegs have a factory look with impressive strength characteristics. The Pro Pegs are 60mm wide (2.4 inches), weighed in at 345 grams a set, use the stock springs and are all hand made. They will set you back $268.00 and are fairly easy to put on. The only snag I ran into was that the stock springs are tough to line up with the Pro Pegs holes and takes some finesse/patience for the pin to line up accordingly. The Pro Pegs come with two fresh cotter pins, so make sure you use the ones that come with the pegs. Once on I was very impressed that the Pro Pegs lined up flat, just like the stock pegs. With some other aftermarket pegs the stop was too long and cause the footage to be tilted upward somewhat. With the Pro Pegs the footpegs lay flat and move up and down freely with no restricted movements. The Pro Pegs that you see here are the Mud/Enduro style that don’t have the middle cleat, which I prefer. I like the open design to keep mud out of the footpeg as much as possible for maximum grip. 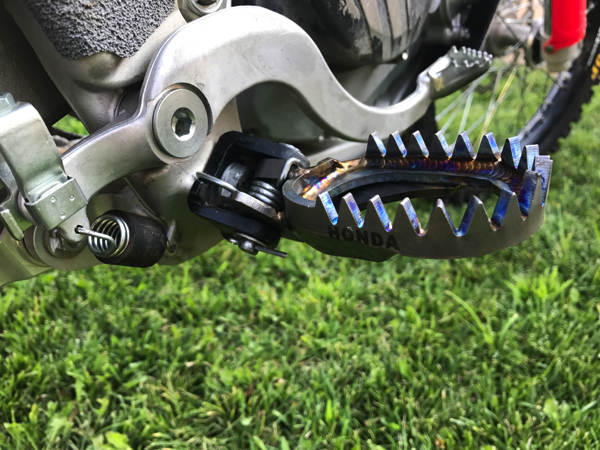 They make a full cleat (which has a middle cross brace), but I chose this style to try on the 2017 Honda CRF450R. I have seen many top tier factory motocross teams run this design and wanted to see if it affected my grip on the bike. 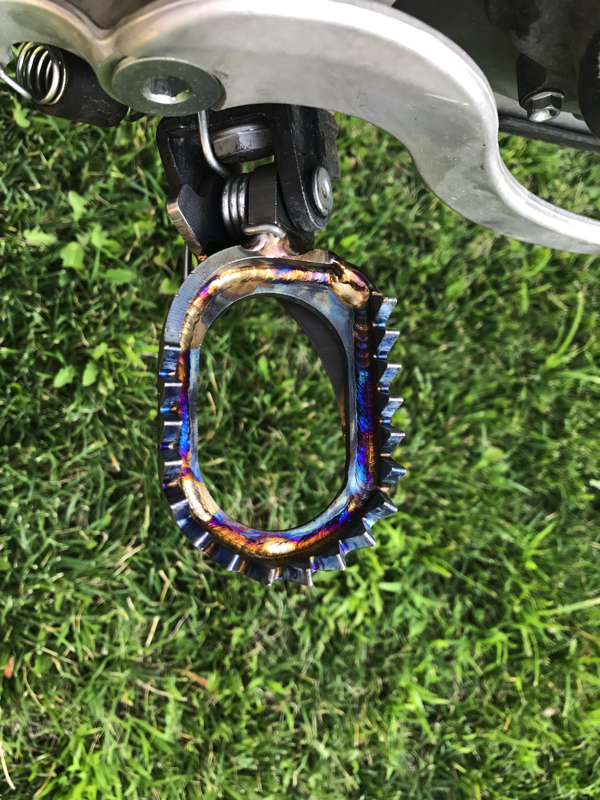 I have tried the full cleat Pro Pegs on past test bikes and didn’t notice any extra grip with the middle cross brace added. I think the open design is more trick looking and gives the bike a factory look! The Pro Pegs teeth (all 18 of them) are sharp and much deeper than that of a stock peg. 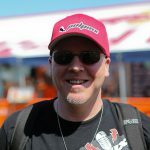 The amount of teeth on a footpeg is not as important to me as the sharpness of each tooth. Each tooth is much sharper on the Pro Peg (than stock) and although there are less of them, than a stock Honda peg, the grip that I get is much higher. I can feel the soles of my boots digging in instead of just riding on top of a dull footpeg. I feel more locked in with the bike and I am able to ride on the balls of my feet easier with these sharper/wider Pro Pegs. Yes, the Pro Pegs will eat the soles of your boots faster than the stock pegs, so make sure to keep an eye on the soles of your boots closely. I didn’t notice any weight difference (on the track) or any odd vibrations through my boots with the Pro Pegs. 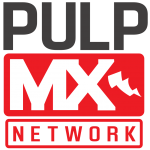 The Pro Pegs are distributed by MotoStuff and Works Connection and are available now. If you are looking to get some added grip, want to really stick to your pegs and work on your technique these are a great choice. The Pro Pegs have outstanding quality and have been on my Honda for almost a year and still look great!